Photography is also one of the important skills for bloggers. Pictures say a thousand words and it’s true. Our eyes will capture those beautiful or artsy picture faster than the rest and then we will take the first move to read the article and so on. Here, I am sharing some photography tips from award-winning photographer - Justin Mott. The best photographers are patient photographers. Find your light and your background and just sit and wait for something to happen in that light. The wait can be painstaking but a great photo lasts a lifetime. Give yourself weekend assignments, practice makes perfect. A few examples; photograph just the color red, limit yourself to just one particular shape like circles, or pick a feeling like love. Mix it up all the time with your assignments so you don’t get bored. Interesting light makes for interesting pictures. First you need to understand and recognize gorgeous light in every day life, then you need to learn how to creatively expose for that light. If you are shooting on automatic or aperture priority you are doing yourself and your growth as a photographer a disservice. Shooting in Manual mode on whatever camera you have opens up a world of creative exposure options that aren’t available using your camera on automatic. Take the rule of thirds and other cliché photography rules and throw them in your trash bin. Everyone is a photographer these days, so if you want your work to stand out make your own rules, don’t be like everyone else. Many people think the only way to get a great picture is to travel to exotic locations. That couldn’t be further from the truth, great pictures are just outside your door. Take an hour after work, which is typically right around sunset for most people and explore your neighborhood. Trust me, you will learn new things about your surroundings and you will get amazing pictures. When you see something you like, don’t simply stop, take your camera out and shoot it. Move around a bit, put some thought into what you want to say with this image. Find an interesting angle; look for something interesting to shoot through. Get up high and get low too - perspective is what separates the novice from the pro. Don’t be afraid to lie on the ground and shoot from the floor. When people walk by and think “What is that guy doing?” is often when I'm getting my best pictures. One picture can tell a story or you can use a series of pictures. Craft your art of storytelling and you will become a better all around photographer. Photography is one of the most celebrated ways to capture history. 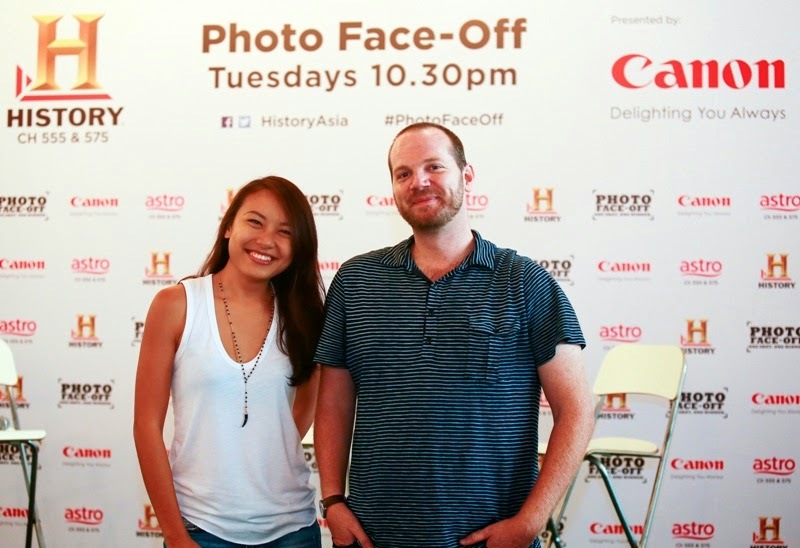 To learn more about photography and Justin Mott himself, tune in to Photo Face-Off on HISTORY™ first reality competition series which will see 5 amateur photographers from around Southeast Asia go against Mott to capture the best shots in their respective countries. The 5 will then compete against each other in the final episode for the assignment of a lifetime, which is a chance to photograph some of the world's biggest stars at a red carpet event in NYC. Alternatively, for more tips, reviews and guides on everything photography related from best Sony lenses to buy to the best camera backpacks, visit Shotkit.com. Nice list of tips for photography. After taking good photographs is comes to show them to the world or audience. Online portfolio and profiles can help you to show your talent to world. Take a look at Reelfocus which provide artists portfolio and community to get more expose.